Burnout to Renewal: What Role for Social Change Organisations? Kat Wall, co-Director of Organising for Change, a new UK-based training initiative, shares some reflections on the role of social change organisations in creating a regenerative approach to activism. 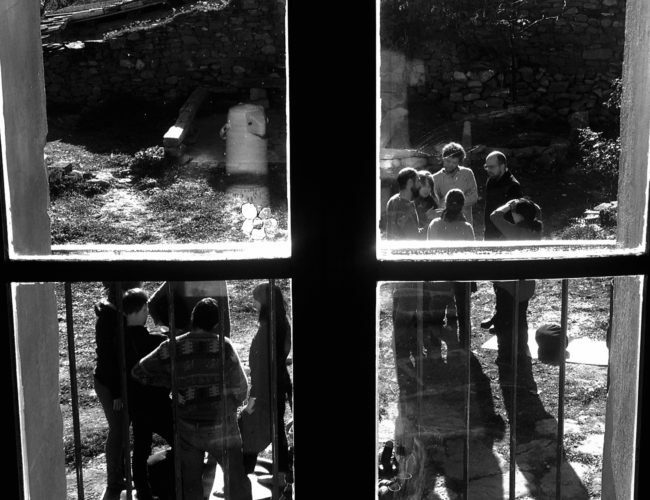 In the mountains of Catalunya, nestled into the hillside, rests a large old house, home to the new Ulex Project. 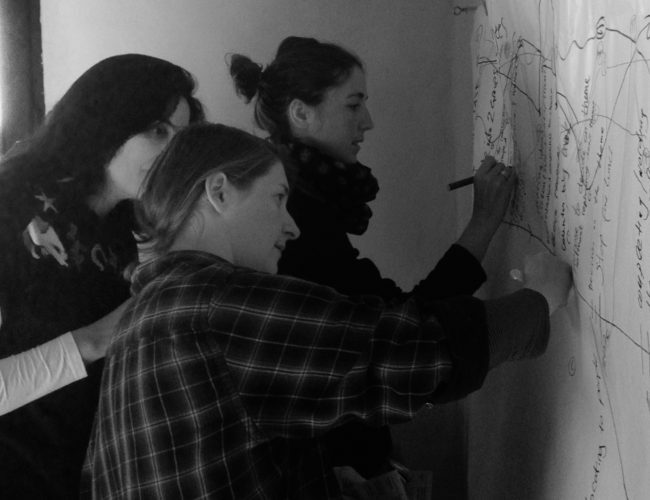 Named after the yellow gorse flowers that replenish burnt out soils in broken land, the Ulex project seeks to build the capacity of social movements across Europe. I arrived there along with activists from the Białowieża Forest of Poland, anarchists from the North of England, anti-austerity campaigners from Greece, and those who defended the recent Catalan referendum. Though we had journeyed from such different places we had one thing in common. Burn out. We were there for a ‘Regenerative Activism’ training. 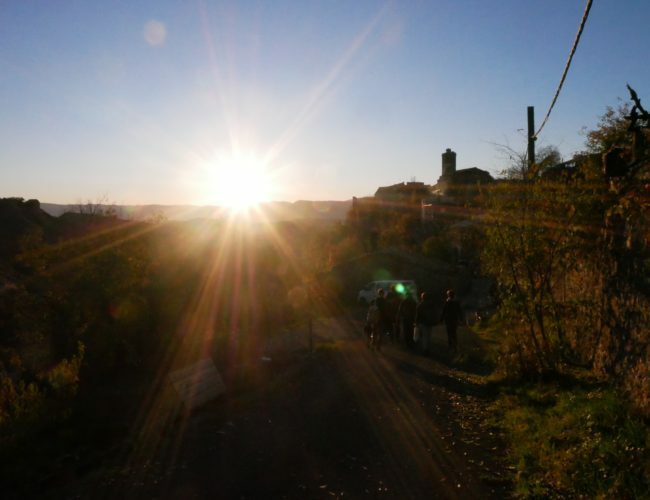 During 9 days of theoretical insights, experiential learning, nature connection and meditation we were each invited to reflect on what drives us to exhaustion in our pursuit of social change; to that place where we forget why we care about the world around us; when we literally cannot go on fighting any more. Spending time living in a community with routines and daily spaciousness enabled me to slow down. The safety of the group and the quality of facilitation created a space for inner reflection and a deeper learning about the reasons why so many of us burnout. Over the course I felt able to better connect with the causes that drive me to my limits. I got in touch with some of the challenging beliefs I hold about myself and the world, that drive me towards burnout. I saw how I believe that I need to be productive all the time in order to be of any value. I began to explore ways of being that might serve me and those around me better. There was something about this programme itself that felt regenerative! Looking deeply at our own burnout, common themes within the group began to emerge. The scale of the crises around us, from the ecological to the economic, can lead, understandably, to a feeling of constant urgency. At the same time, the system we find ourselves in prioritises certain values that encourage us to push ourselves in unhelpful ways: Conditioned by individualism, means I always need to be doing something important; conditioned by disablism, I feel that it’s not OK to not be OK; conditioned by capitalism, I am driven to do more, faster, better, all the time. Obviously, these themes aren’t unique to those of us on this course. Having worked alongside many groups and organisations seeking to address the crises of our time, I’ve frequently seen cultures of burnout upheld and perpetuated. Everything is urgent, everything is important. In so many organisations, people are at capacity or beyond it most of the time. There is a sense that because we care so deeply about the issues we will go the extra mile; we will burn ourselves out for our cause. But there are often damaging consequences to constantly pushing ourselves too hard and too fast: Working long hours, dealing with high levels of stress, never allowing ourselves time to care of ourselves or each other. For some, it means leaving organisations – something I have done myself. Talent and skills are lost. For others it means staying and struggling on increasingly with impacts on mental and physical health and wellbeing. Relationships suffer and conflicts brood. For others long term sick leave becomes necessary. So, how do we respond to the demands for change, whilst at the same time challenging the systemic drivers of burn out that are so often replicated in our groups and organisations? I have found the concept of the ‘transformative group’, taught at Ulex, helpful when thinking about this question. This is the kind of group that helps us to work towards achieving social change in a way that enables us to thrive. The diagram below – which was used on the course – outlines the obstacles faced by our groups and organisations today. 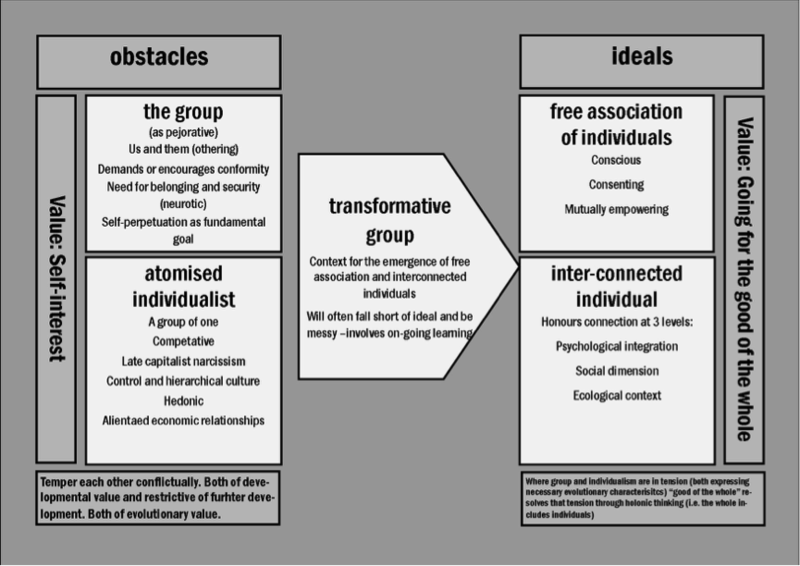 The schema offers a vision of both how we could work together and grow as individuals, as well as indicating the obstacles in the way ‘the group’ works and the individual is constructed. Between obstacles and the ideals lies the transformative group. I’ve become really curious about these transformative groups and how to create them. What is involved in creating groups and organisations that start to prefigure the ideals of how we might like society to be, learning and experimenting and improving all the while? And can such organisations and groups, which are enabling us to thrive, still deliver strategies that are transforming the world around us? Can we do both prefigurative practice and strategic systemic change? Can we change the world and thrive whilst we do it? There is something about the education experience at Ulex which gives some of the answers to these questions. Through creating an immersive learning environment where groups can learn together in a gentle yet profound way, transformation starts to happen. It may not be complete, there may still be messiness and things we need to learn and adapt, but it permits these territories to be explored. It was one of the most amazing learning experiences of my life and I feel incredibly grateful for what I learnt. Kat Wall is an experienced facilitator and organiser with over ten years experience working with grassroots and NGOs to build power across difference. Now a culture change consultant, Kat works with social change organisations to enable them to thrive, to address power and privilege dynamics within teams, and develop organisations to become more effective. In the last year, she has worked with the Quakers, People and Planet and the Public Interest Research Centre amongst others. Kat is also co-Director of Organising for Change – a training collective that seeks to build the capacity of campaigners to transform their culture, learn organising tools, and transition their campaigns from mobilising to organising approaches.